(with(in)side) out invites you to dissect the uncertainties of your own form. the question: how does the configuration of my body limit what I know? and the identification of thought as data for translation into poetic form. 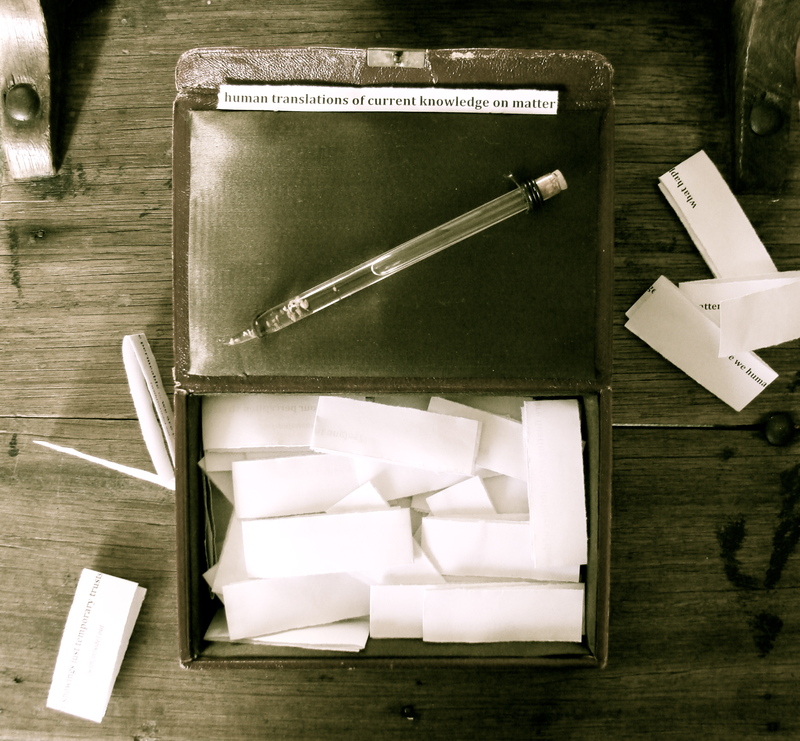 * This curious object was later revealed as ‘Records of translation vi.’ by artist Devon Ward. It is a crafted containment of dissected neural tissue, brain matter flowing within an object the artist refers to as a pen. with(in)side out has grown from the original thought-data into a spoken word soundscape with projected imagery, textual translations and digital illustrations. This is a body of work in development. Edges are fluid and evolving, the ins and outs of form are yet to be defined. Thanks to CIA Studios and Writ Poetry Review for providing live performance testing grounds, Devon Ward, Amber Bateup, early audiences and all who have supported the project thus far. Good humans, the lot of you. 21 Jun	This entry was published on June 21, 2015 at 7:27 am. It’s filed under art, audio, projects, stage, words and tagged (with(in)side) out, 2015, bodies, boundaries, cell, data, flesh, form, human, inside, out, performance, performance poem, poetry, south australia, thought, withinsideout. Bookmark the permalink. Follow any comments here with the RSS feed for this post.